Why is employment rising when the UK economy is still flatlining? Our new research could provide the answer. Figures show that since the onset of recession in 2008 the real value of wages has fallen by 7%, or more than £50 billion a year. During the same period there has been a real terms drop in consumer demand of 5%. Our report, ‘Britain needs a pay rise’, published today (Tuesday 12), argues this fall in the value of pay could be a major obstacle to the return of economic growth. The report also busts the myth that civil servants are paid more than their private sector counterparts. The government’s four-year pay policy, plus the increase in pension contributions, will cut almost £7 billion a year from the value of public sector employees’ pay by 2015. Median pay in the civil service is 4.4%, or £1,263, lower than median pay in direct private sector comparators. At executive officer level civil service pay was 10% below private sector comparators and at administrative officer level it was 8%. These discrepancies in pay for executive officers and administrative officers are found in every nation and region in the UK. The report aims to generate a serious debate about the effects of low pay and government pay policy on the UK economy. It comes as 250,000 of our members who work in civil and public services start voting in an industrial action ballot over cuts to their pay, pensions and terms and conditions. We have asked for a pay rise for civil servants of 5% or £1,200 and for the living wage to be written into government contracts with private sector employers. While ministers are not able to increase wages across the whole economy, increases in public sector pay and the national minimum wage – and support for the extension of the living wage by insisting on it for government contracts – would stimulate demand and act as a catalyst for the private sector. 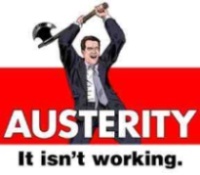 PCS general secretary Mark Serwotka said: “Almost everyone can now see that austerity is not working. The chancellor George Osborne is borrowing more for failure, we are on the verge of a triple dip recession, food banks are on the rise and pay day loan sharks are preying on the vulnerable. “We believe the government’s pay policy, built on the lie that hardworking civil servants are paid too much, is having a seriously damaging effect on the whole economy. Does weak employment law help economic growth? A week ago, because the coalition was starting to talk about weakening employment laws ‘to help kickstart the economy’, I reblogged my analysis of the Beecroft report and its author’s vested interest in the measures he was proposing. From slashing maternity leave and workplace safety inspections to robbing people of their protection from bullying bosses, this government are turning back the clock on decades of hard won rights for the UK’s employees. But by chipping away at our rights one piece at a time, they’re hoping nobody will notice until it’s too late. Help send them a message that we can see what they’re trying to do, by joining our campaign. Sign the petition and add your own message to tell the government why rights at work are so important. 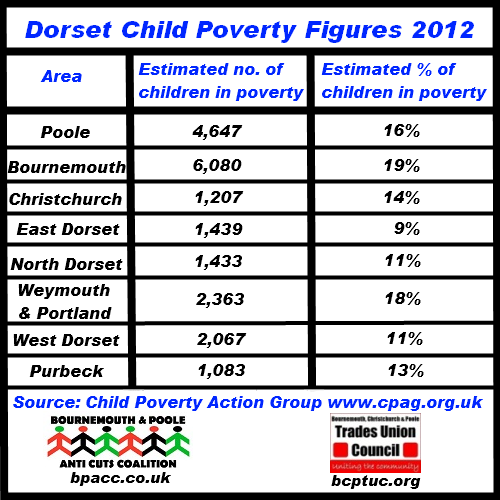 The following press release from TUC South West was released in March 2012. One in 14 public sector workers in the South West lost their jobs between July and September last year, according to new figures from the Office of National Statistics. A total of 37,000 workers – at seven per cent, the largest fall in the country – of those employed in the region by local government, the police, the forces and the NHS lost their jobs. Nigel Costley, Regional Secretary of the South West TUC, said: ‘All across our region public sector jobs are disappearing in droves as local councils, government agencies and the health service are forced to cut services to the core as the Chancellor’s austerity measures hit hard. ‘More than 37,000 public sector workers in the South West have now lost their jobs at a time when finding work has never been harder. ‘Behind every job loss is not just the job consequences but the loss of valuable public services. ‘Ministers must see that their economic policies are doing huge harm, and with more spending cuts coming down the track and the recovery still weak, thousands more public servants will soon be swelling the ranks of the unemployed. This is devastating enough but when you take this together with the results of a recent Chartered Institute of Personnel and Development (CIPD) survey of 1,000 employers it gets even worse. It highlights that the governments assurances that the private sector would “fill the hole” made by all the public sector cuts is simply proving to be be pure fantasy without a growth strategy. The survey showed that a third of private sector employers had kept on more staff than they needed to avoid losing skills. But almost two-thirds said they would have to cut back if economic growth did not pick up in the next year. “Recent falls in unemployment suggest that the labour market is on a sound footing, but a closer examination reveals that many employers are holding on to more staff than is required by the current level of demand in order to retain their skills,” said report author Gerwyn Davies. “This is a make or break moment for employers – unless growth picks up many will find that they cannot hold on to some workers any longer. The survey also showed that public sector organisations were predicting average pay rises of 0.2%, compared with 2.5% in the private sector. Having found that it could not politically do away with unfair dismissal outright, the government now wants to – quietly – make it worthless, says Anya Palmer. The government’s employment law review is now halfway into its second year. The qualifying period to bring a claim for unfair dismissal has already been doubled from one year’s service to two, from April, and there are plans to introduce fees for tribunal claims with the obvious intention of deterring claims (see ‘Fire away’, Solicitors Journal 155/38, 11 October 2011). But the business lobby – notably the British Chambers of Commerce, the CBI and the Institute of Directors – wants more. For months now the business lobby has been pushing for the proposal by millionaire Tory donor Adrian Beecroft to replace the right to claim unfair dismissal with a no-fault compensation scheme. That proposal was rejected for political reasons in November 2011, and was replaced with a more limited proposal to introduce a no-fault scheme for very small businesses employing fewer than ten people. A consultation or ‘call for evidence’ was set up. Business secretary Vince Cable made little secret of the fact that he did not believe there was any evidence to show that making it easier to fire would make employers more likely to hire, even for small employers, but said he was willing to look at whatever evidence people put forward. The ‘call for evidence’ was due to end on 8 June, but even before it ended the press had been briefed that the small business proposal would not go ahead. On 21 May the government finally published the Beecroft report, apparently forced into doing so by freedom of information requests from The Guardian and shadow business secretary Chuka Umunna. By the time it was published, the political correspondents were reporting that the no-fault dismissal proposals would be quietly shelved (in theory they had already been shelved back in November for all but the small employers). The outcome: Vince Cable and Nick Clegg got to look good for standing up for workers’ rights, and the Tories got to salvage some of the damage done by Downing Street, having secretly commissioned this report from a major Tory donor in the first place. The press then lost interest. The dogs bark, but the caravan moves on. Is that an end to the matter? Hardly. On Thursday 24 May the government quietly published the Enterprise and Regulatory Reform Bill, which deals among other things with employment law reform. The bill contains a number of dubious proposals for employment law procedure. For example, it proposes compulsory conciliation by ACAS before any claim can proceed. Any employment lawyer with more than three years’ PQE can tell you that this will not deter claims any more than compulsory grievance procedures did between 2004 and 2009, and will simply increase costs. But I want to focus here on the proposed changes to compensation for unfair dismissal, because my concern is that, having found it politically impossible to simply do away with unfair dismissal, the government wants to gradually make it worthless instead. An employee who is dismissed, provided they have two years’ service (there is no service requirement if they can prove discriminatory dismissal but I am talking about ordinary unfair dismissal). If they establish unfair dismissal, there are two elements to the award that they will get: a basic award and a compensatory award. The basic award is equivalent to a redundancy payment. It is not high: this year it is a week’s pay capped at £430 for each year of service aged under 41 and £615 for each year of service aged over 41. The number of years of service is capped at 20. The minimum award is £860 for two years’ service, and the maximum possible award is £12,090. Compare this to many countries in Europe where a redundancy or dismissal payment will be a month’s pay (or even 1.5 months’ pay), uncapped, for each year of service and it is readily apparent why it is said that Britain actually has one of the most flexible labour markets in the developed world. The compensatory award is based on loss of earnings and is currently capped at £72,300. Large awards are rare – the median award last year was only £4,600. But for an employee who does suffer substantial loss and can prove it, their loss is arbitrarily capped at that amount. It is obviously unfair that compensation for unfair dismissal is capped at all. A claimant who wins their discrimination case does not have their compensation arbitrarily capped. Nor does a claimant who wins a personal injury claim. So why should compensation for ordinary unfair dismissal claims be capped? But capped they are. In 1998 Labour set out a principled case for removing the cap in a white paper called Fairness at Work, but the business secretary at the time, Peter Mandelson, backtracked and compromised by raising the cap from one arbitrary figure (£12,000) to another arbitrary figure (£50,000) and index linking it. That is the origin of the current figure of £72,300. The government is consulting on a wide range of measures as part of the employment law review, but there has been no consultation on changing the level of compensation. The proposal to reduce compensation simply appeared unannounced in clause 12 of the Enterprise and Regulatory Reform Bill. (but not less than 52) – or the lower of the two. Median annual earnings are currently £26,000, so, assuming whole numbers are used, this would give the secretary of state power to limit compensation to either £26,000, £52,000 or £78,000 under limb (a), or to limit it to a specified number of weeks pay (at least a year) under limb (b), or to apply the lower of the two if both (a) and (b) are used. To set the cap at £26,000 would in real terms be returning it almost back to where it was in 1999 when the Labour government raised it. Logically I assume that this government intends to go for the lower limits and to use both limits and the ‘lower of the two’ provision so that in short order compensation can be reduced from its present level of £72,300 to, for example, £26,000, or a year’s salary if less (as £26,000 is the median, nearly half the population would earn less than that so the limit would then be even lower in their case). If that is done then someone earning £52,000 would not be able to recover more than six months’ loss even if it reasonably takes them nine months to find another job. And someone earning £20,000 could not recover more than £20,000 even if they reasonably suffer a £26,000 loss. This is about as arbitrary as it gets, and the ‘lower of the two’ provision makes it perfectly clear whose side the government is on here. No principled case has been advanced for empowering the government to impose these arbitrary limits. Clause 12(3) provides that the amount of the limit in limb (a) may vary in relation to different descriptions of employers. So it may be that there will be a compromise for the lifetime of this government: compensation could be limited to three times median earnings for large employers, two times for medium employers and a multiplier of one for small employers. However, given the direction in which the Conservative party’s sympathies lie, it’s not unreasonable to suppose that if they were to win the next election they would simply reduce the limit across the board. The Enterprise and Regulatory Reform Bill was due to have its second reading on Monday 11 June. So far this proposal has passed entirely without comment in the national press, with the exception of a piece I wrote for the (online only) Guardian Law. Apart from that there has been no coverage even in the legal press until now. The government has not been called on to defend this proposal. 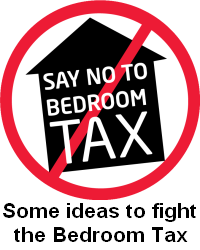 We do not even know if Labour will oppose it. Chuka Umunna was very vocal on Twitter about no-fault dismissal, so I asked him on Twitter where he stood on these proposals. He has not replied. To give an example of why the arbitrary cap is so unfair, let me give you the example of a case I did in 2004. The claimant was a lift engineer who had worked for his employers for 38 years, since 1965. He was unfairly blamed by his employers for an accident which was nothing to do with him. The tribunal’s findings were clear. He was blameless. The tribunal ordered reinstatement. The employer refused to reinstate him. The claimant did an excellent job of mitigating his losses, setting up as self-employed so that his loss of earnings was minimal. But he could not mitigate the damage to his final salary pension scheme. His net losses were valued at £121,000. The tribunal was only able to award him £53,500 (the limit at that time). To add insult to injury he had to pay tax on his award to the extent that it exceeded £30,000. I would be interested to know what justification Nick Clegg or Vince Cable can offer for agreeing to extend this arbitrary cap, other than the obvious one that it helps keep them in government.